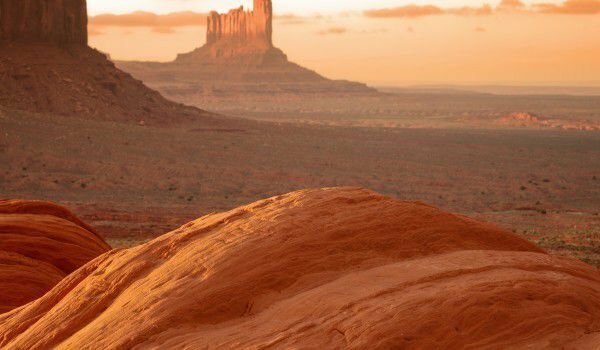 Monument Valley is probably the most appropriate example of the classic American Wild West. This desert terrain, which is among the most attractive landmarks, is located in the southeastern corner of the Utah and Arizona border. The area is located entirely within the Indian reservation of the Navajo Nation, in the divisional line between the two states. Most of the natural sights are concentrated around the town Gulding, which is located 250 km from the nearest town of Flagstaff, in Arizona. Founded in 1923, this small village is affected by the Indian marketplace to the modern city, although it is a little on the edge of civilization. Besides the famous and impressive cliffs in the area of Monument Valley, there are several prehistoric caves, and stone houses with beautiful natural rock arches, in which still surviving rock paintings can be seen. Especially memorable is Totem column, which is arocky pyramid 91 meters high, with a width of several meters. It can be seen quite well from the 27 km long road, the "Valley Drive." The best way to examine the area is by car, on the road. 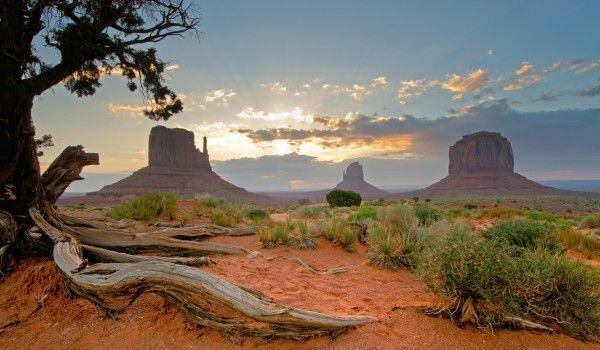 The wild desert area around Monument Valley was used as the set of many famous Hollywood productions, ranging from John Wayne movies, to "Back to the Future 3" and ending with "Forrest Gump". It is best that the area of Monument Valley be visited from April to October. Note that the place is not given the status of natural park, and is entirely Indian reserve, which means you have to pay the entrance fee.